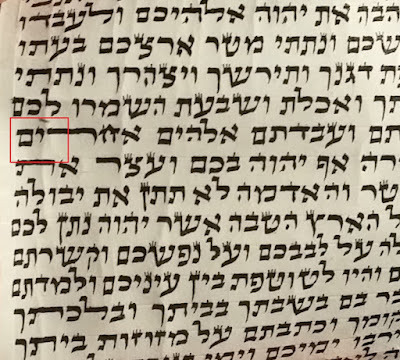 Just fixing parshat tsav in at Torah and noticed this error. 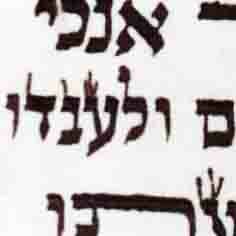 I think what has happened is that the join between yud and nun sofit shapes faded badly (though it is still there and still solid but very thin) and then a subsequent (and it appears careless) scribe who was inking over thinking it was a yud has added a regel to the yud creating a safek over the tsura of the ot. It looks like a yud and nun but is actually a tsadi sofit. Or is it? join between the letters and then scrape the regel of the yud or is that chok tochot? The simplest non doubt way would be to erase the whole yud and rewrite as a tsadi sofit. would not be permitted - could one reinforce the existing join and scrape the regel? Thank you for this very interesting question!! Bezras Hashem I will comment later on this issue. Your question: "can one merely thicken the existing join between the letters and then scrape the regel of the yud or is that chok tochot?" 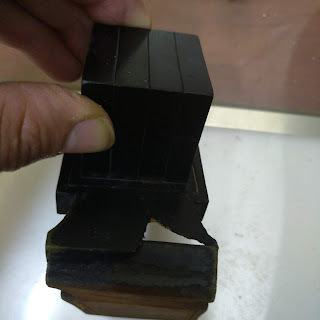 Pashut that he may fix by writing the join, and once it is definitly a zadi, he may scrape any additional ink and this is not chok tochos, since the tzuras haos is not accomplished by the chakika. Excellent - todah rabbah. I look forward to your further comment. Very nice. Really takes away the yud form. Todah.